The vote of confidence inherent in being named a Boettcher Scholar allowed Tracy Wahl to feed her curiosity, search for her “inner spark” and eventually find her place as executive producer for editorial franchises at NPR. 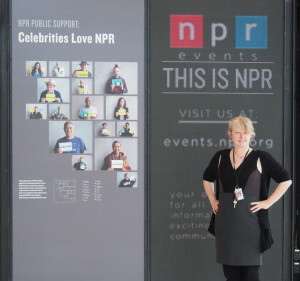 Tracy, a 1986 Boettcher Scholar, has worked at NPR in Washington, D.C. for twenty years, but still feels a strong connection to her Colorado roots. “My job is incredible, but my heart will always be in Colorado,” said Tracy. Boettcher Scholar Tracy Wahl at her NPR office in Washington, D.C. The daughter of a federal hydrologist, Tracy spent much of her childhood moving around the country, but her parents always wanted to settle in Colorado to be close to Tracy’s grandparents. By the time she entered high school, Tracy’s family permanently relocated to Arvada. From there, Tracy attended the University of Colorado and majored in communication, forming a tight network with her fellow Boettcher Scholars. Tracy’s unique view of the world and desire to explore prompted her to move to Tokyo—without a job—after graduating college. She attributes part of that fearlessness to the confidence that came from being named a scholar as an eighteen-year-old. While in Japan, Tracy helped to open a library that catered to local English teachers. She contributed to the procurement of books and partnerships, and to designing the store, which later turned into a multi-million dollar company. When she returned to the U.S. to attend graduate school, Tracy volunteered at a radio station and learned to cut tape. “At the time, that was the type of skill you needed to get in the door at media companies,” Tracy remembered. It was because of that skill that NPR hired Tracy as a temp. She worked the overnight edition—a shift that had less-than-glamorous hours. Soon after, she began working for the Morning Edition. While her then-boss was receiving chemotherapy treatments, Tracy acted as interim executive producer. 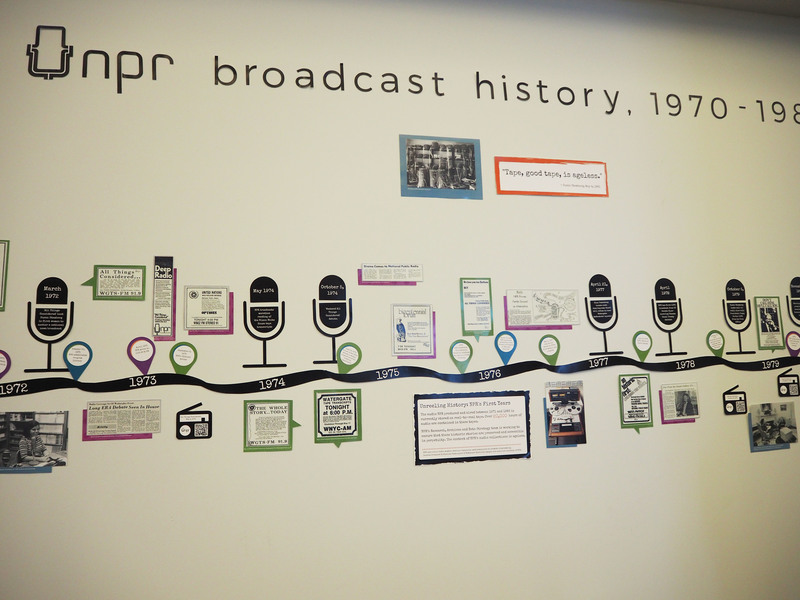 An office wall at the NPR headquarters documents the history of public radio. “I was definitely punching above my weight, but I knew I needed to keep the show going at the highest-quality and give my boss time to recover,” Tracy said. As a result of her hard work and ability to handle stress, Tracy was later hired as the permanent executive producer of the Morning Edition. In her current role, Tracy supports the various public radio member stations across the country by helping to connect them both with their local and national communities. In her spare time, Tracy enjoys researching outlets for storytelling. Her favorites: Instagram and Netflix. “Part of my job is to see how storytelling is done on different platforms,” Tracy said. She especially enjoys social photography and the value of a community of people who come together to share their passion in a creative way. Even from outside Colorado, Tracy feels tied to her Boettcher community. “I still love forming relationships with scholars and I think we can all have an increased impact on our world if we’re connected,” she said. Currently, Tracy helps the Boettcher community build these relationships by serving on the Boettcher Scholar Alumni Board.